Doing copper wire chopper machine are mainly used to recycle all kinds of waste cable wires, the raw materials will be separated into tiny copper rice and PVC, the applicable range of the wires diameter from 0.5 mm to 30 mm, such as automobile electrical route, car bottom lines, motorcycle electric line, computer case line and communication cable, etc. Copper cable wire recycling machine is a kind environmental protection type machinery, for recycling scrap cable wires to separated copper and plastic through crushing, air separation or electrostatic separation process, without using fire, water or chemical, thus no secondary pollution to the environment. 1st Feed the material into crusher to pulverize the material into 3-4mm granules. 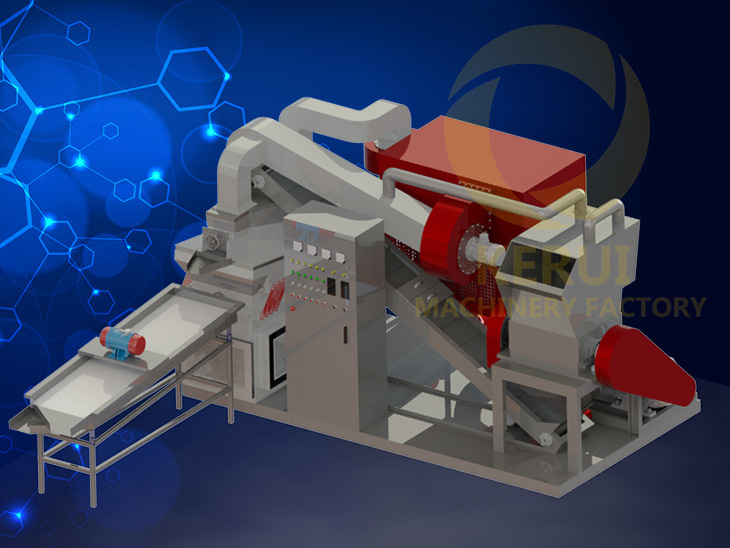 2nd The material will be carried into air separator by belt conveyor and our belt conveyor is equipped with suspended magnet to separate the iron scraps. 3rd By vibration and high press wind the air separator can separate the copper granules from the plastic. If the raw material is mixed with jack plugs and the plugs are made of brass and plastic, during the pulverization, the brass will mix with copper circuits. Through the vibration screen we could separate the brass from the pure copper circuits to achieve a higher purity copper. 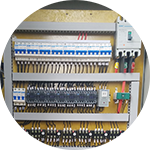 If the raw material is mixed with thin cables, during the air separation, the small copper circuits will be effected by the high pressure wind and then mix with the outlet plastic. 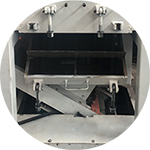 By using the vibration screen, we could separate the thin copper circuits from the plastic to achieve a better recovery rate and higher purity outlet plastic. 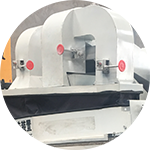 The inlet hopper of the crusher is designed with striker plate and feeder is equipped with thick PVC curtain to prevent material jumping out. The structure of the blades is specialized in cutting copper cables, the cutting face of the crushed cables is smooth and over 99% of the crushed copper granules are in uniform size. We provide two kinds of the blades for customer to select.The first kind of blades is made of low alloyed tool steel(material:9CrSi) and it is widely used in making the tool blades.The second kind of blades is made of special alloyed tool steel(material:Cr12MoV) and it is specially used in making cold punching mold and tool.This kinds of blades is called SKD11. 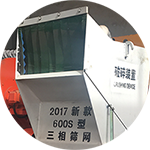 The outlet hopper of the crusher is designed in removable type, which is easy to open to change or clean the crusher sieve. 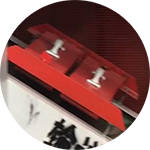 The Belt conveyor which is used to carry the crushed material into air separator is equipped with suspend type iron remover. 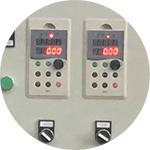 The air pressure of the air separator and the frequency of the vibration bed can be adjusted to process different material. All of the electric appliance are from original Chinese famous brand CHNT and we could also customize the electric appliance to meet custom’s requirement. The vibration device of the vibration bed of the air separator is using eccentric shaft and it is more stable than eccentric gear. 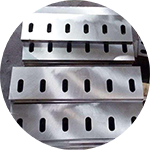 On the above of the air separator, there are three independent air draft channels, and each channel is equipped with air valves. 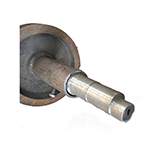 According the dust content of the material to adjust the valves, then we can achieve a good dust cleaning performance.